Union Tourism Minister K.J. 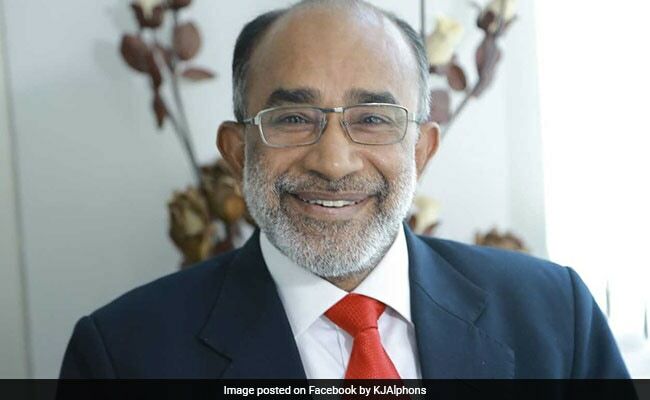 Alphons said the External Affairs Ministry had been taking up the issue with various countries and of course Prime Minister Narendra Modi's global diplomacy was the "best message" that painted India as a safe place. Union Tourism Minister K.J. Alphons said most of the advisories are hugely biased and uncalled for. New Delhi: International travel advisories against India are "hugely biased" and "uncalled for" because crime and violent incidents in the country are only "few and far between", says Union Tourism Minister K.J. Alphons. In an interview with IANS, the minister asserted India was a "perfectly safe" tourist destination for foreigners and the government was making efforts to get negative advisories against the country removed. "Most of these advisories are hugely biased. I don't want to use the word racially biased. Like the advisory for Assam is still on Level 2. Why? Such advisories are completely uncalled for," he said. Mr Alphons said the External Affairs Ministry had been taking up the issue with various countries and of course Prime Minister Narendra Modi's global diplomacy was the "best message" that painted India as a safe place. "You know incidents are deplorable but they are so few and far between. The issue is that the foreign media is hugely biased against India." The remarks came against the backdrop of the US and other western countries repeatedly asking their citizens to exercise caution in their travels India due to reported incidents of crime and violence. The US in January reviewed its advisories placing India on Level 2 and suggesting increased caution. Canada also issued its updated travel advisory on March 21 asking citizens to "exercise a high degree of caution in India due to a continuing threat of terrorist attacks throughout the country at all times". The UK in its February 21, 2018, dated advisory suggested a high degree of caution as "terrorists are very likely to try to carry out attacks in India" and asked the British to "be vigilant" in the wake of "an increased threat to places visited by British nationals such as religious sites, markets, festival venues and beaches". Mr Alphons sad India has established itself as "a perfect destination, a perfectly safe destination" and despite these advisories the country hosted 10.2 million foreign tourists in 2017, which is an increase of 15.8 per cent from the previous year. The receipts of these foreign tourists was $27 billion - an increase of 20.2 per cent in terms of revenue. "So, I say with a firm belief that these advisories are completely uncalled for."